Camping Toca da Raposa är en camping i Meruge, Coimbra, belägen i skogen. Denna terrasscamping och camping med sluttande terräng har platser med skugga, utan skugga och platser med lite skugga. Det finns möjlighet att hyra tält, vandrarstugor och bungalows. På campingen finns en ett sportområde. Denna inspektör gör varje år ett besök på Camping Toca da Raposa och inspekterar campingen för ca 200 faciliteter och för andra förekommande punkter. Inspektören är en medarbetare från ACSI och arbetar inte för campingen. This is a lovely campsite with nicely decorated bar/restaurant, cozy terrace and the best view (with romantic sunset). The pitches are shady and the toilet/showers clean! As I understand it a lot of campers come back every year! Unfortunately we could only stay one night! Thanks for the lovely (but short) stay! Poor weather explains the negative reviews. As we came as part of our summer holiday we simply cannot fault it. We have been to countless campsites but I have no doubt this one will be remembered. The food service and staff come together to create a unique sense homeliness, it truly is a little piece of heaven. We will definitely be returning! really nice small site. very friendly staff who speak many languages.plenty of hot water for showers and washing up. toilets very clean. bar and restaurant area very good and welcoming. nice terrace overlooking swimming pool. good home cooking on certain nights. the pitches are on the small side. (we have a campervan and awning so no problem) i would suggest ringing before arriving to reserve one of the suitable sites. the site is terraced and on the side of a hill. Activities include walking and cycling direct from the site. it\'s fair to say it\'s a place for \'chilling out\' , but if thats what you\'re after it\'s perfect. We could not have hoped for a better site! We contacted them 4 days before their official season opening and were still warmly welcomed. On the Saturday night of our stay they had a singer and a band afterward. Both were top notch acts. The site was located on a gentle hillside with views over the quiet valley. They had a Caravan length limit of less than 5 metres, but our 7.15 metre caravan had no problems, just use care and forethought. Pitches vary in size, but again, use common sense! Meike, with her command of 4 languages, was extremely helpful and considerate at all times. We'll definitely be back! The campsite has a lovely rustic charm and is situated near to the Serra de Estrela with its great motorcycling roads and the Torre mountain. Good clean facilities, the bar is also comfortable, staff are friendly and we did eat at the site on several occasions and the food was very good. Mieke the owner was more than helpful (thanks again Mieke) when an issue with the motorbike needed some specialist help arranging. A lovely spot. Vill du boka Camping Toca da Raposa eller få mera information? Det går bra med nedanstående uppgifter. 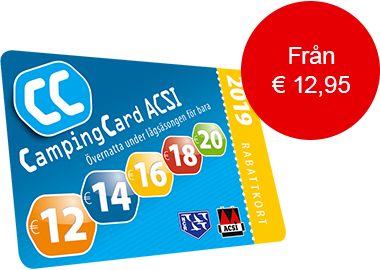 ACSI Eurocampings skickar din informationsförfrågan till "Camping Toca da Raposa".